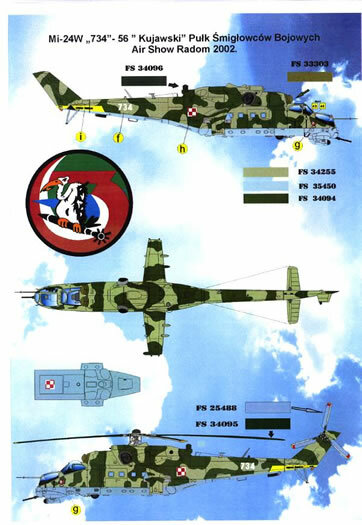 Montex as produced a range of decals for modern Polish subjects which sits well with the Polish Wings range of books. 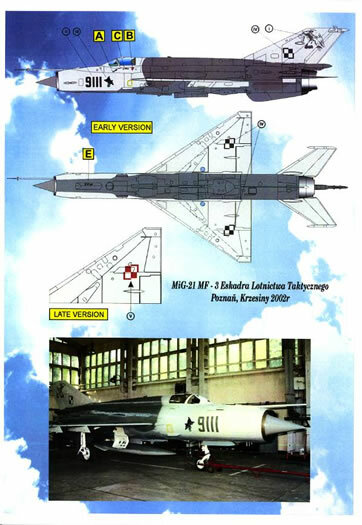 Plenty of interesting subjects, well supported by reference photographs and diagrams in the instructions. 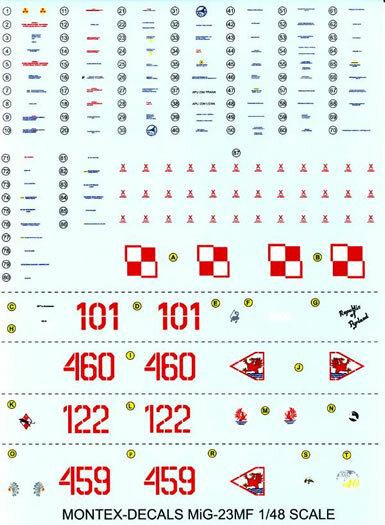 Montex is probably best known for their range of masks for a wide variety of subjects and covering everything from canopies to wheels and markings. 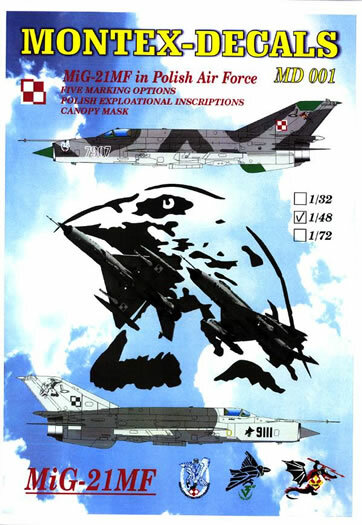 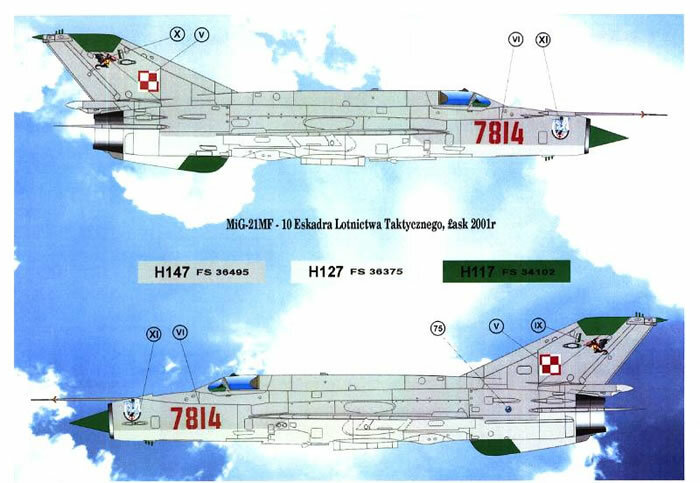 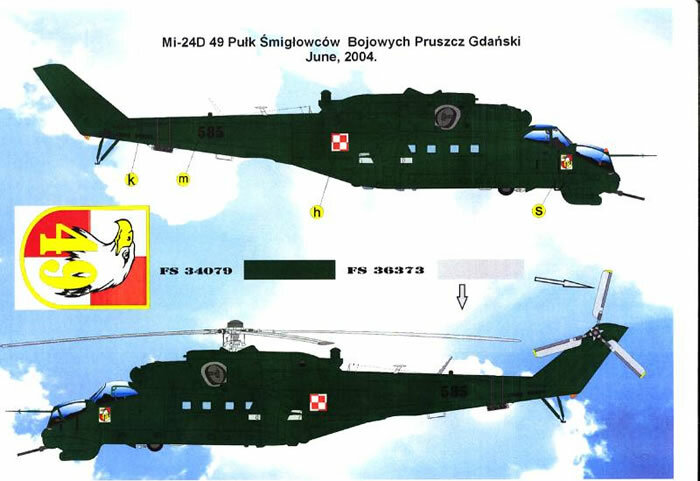 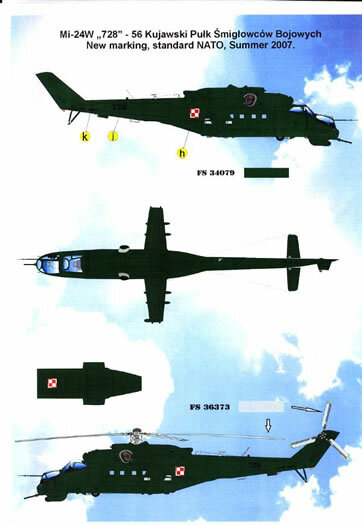 For a while though they have promised a foray into decal sheets for Polish Air Force subjects, in support of the Polish Wings series of books, many of which have been reviewed here. 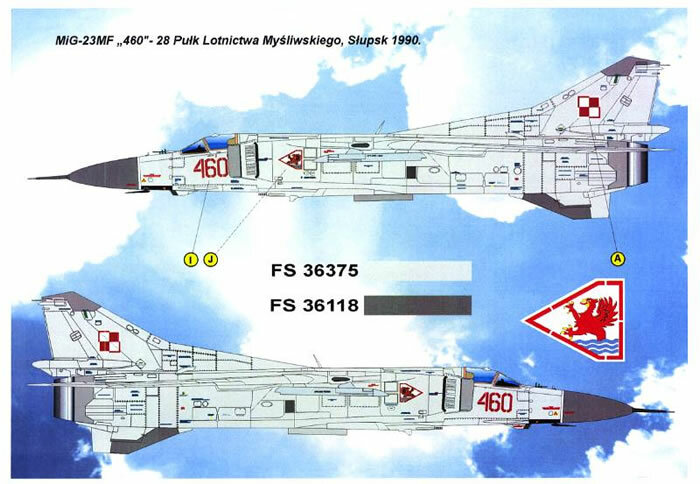 The three sets covered here represent the first three releases in this series, which is available in both 1/48 and 1/72 scale. 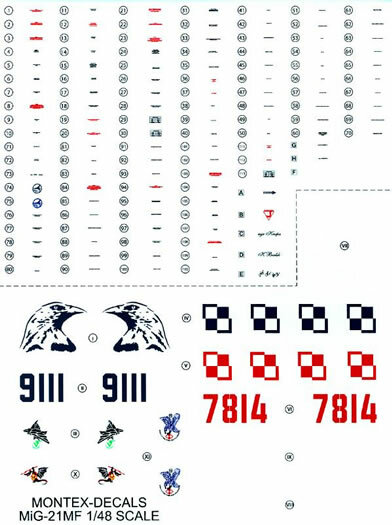 Each set comes packaged with comprehensive instructions, including paint call outs in common brands and Federal Standard equivalents, four view diagrams a set of their trademark canopy masks. 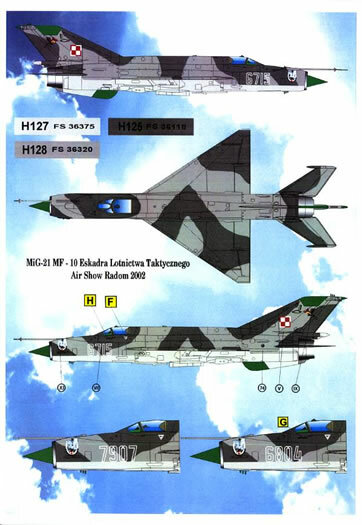 Options include both full-colour and lo-viz national markings and three distinct camouflage schemes all a combination of grays. 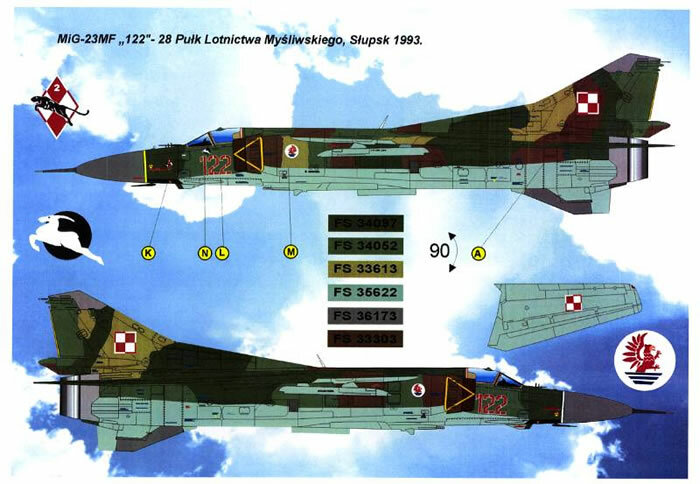 101 – 28th Regiment Slupsk for the 1997 Eagle Claw exercises. 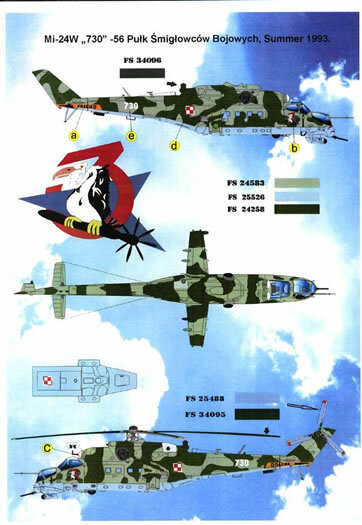 The first two subjects are in a complex five colour scheme of greens and browns over a sky blue and the latter two in an overall gray scheme. 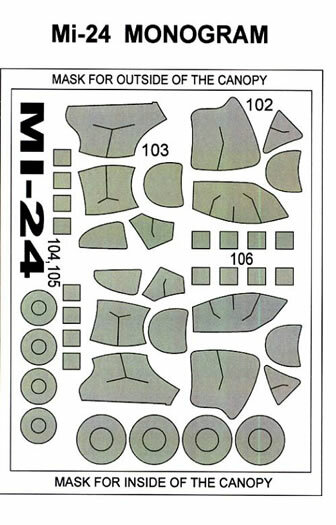 It is not clear who has printed these sheets for Montex and as I haven’t used them yet, I cannot comment on adhesion, reaction to setting agents and the like. 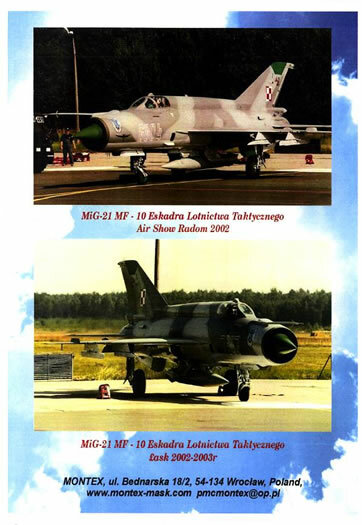 However examination of the printing shows excellent registration, colour depth and crispness of artwork which bodes well for application. 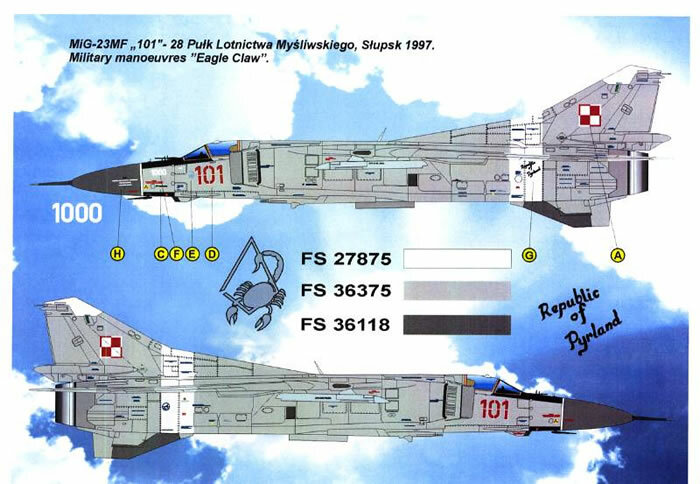 The instructions are nothing less than comprehensive for use in modelling although the term “Polish exploitational inscriptions” puzzled me until I realised they meant maintenance stencils. 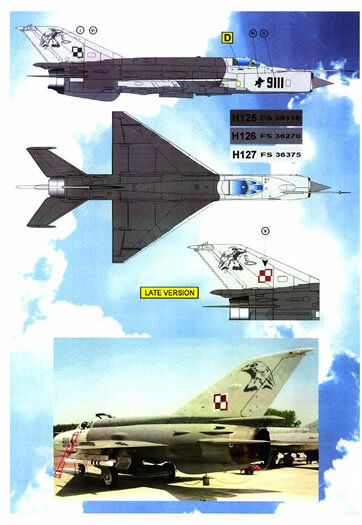 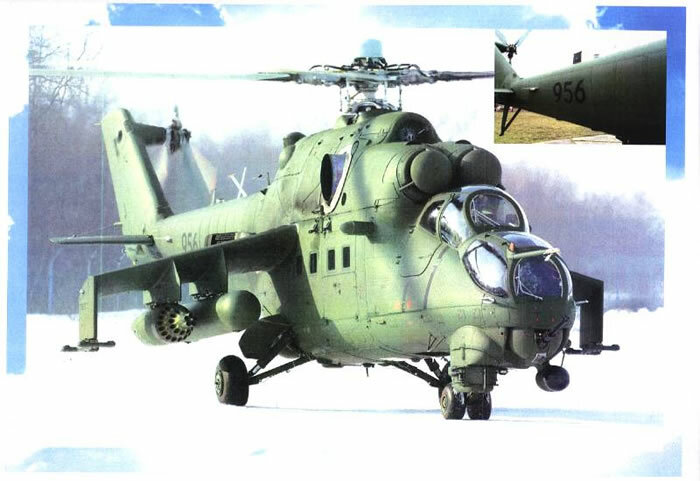 That said there is extremely limited background information provided on each subject in the sets and if there is interest in a particular subject the relevant Polish Wings Book will be useful. 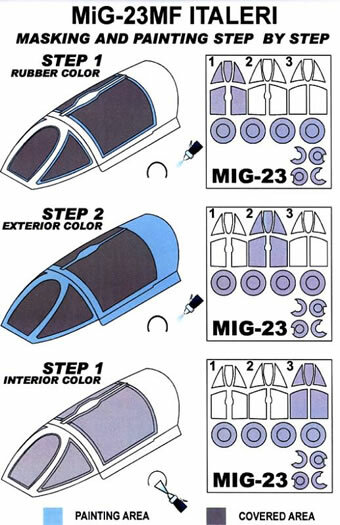 As I was provided with the 1/48 scale sheets I will not comment on options for kits in 1/72 scale but I believe in each case there is an available kit as a starting point (Fujimi and Hasegawa kits leap to mind for the three subjects). 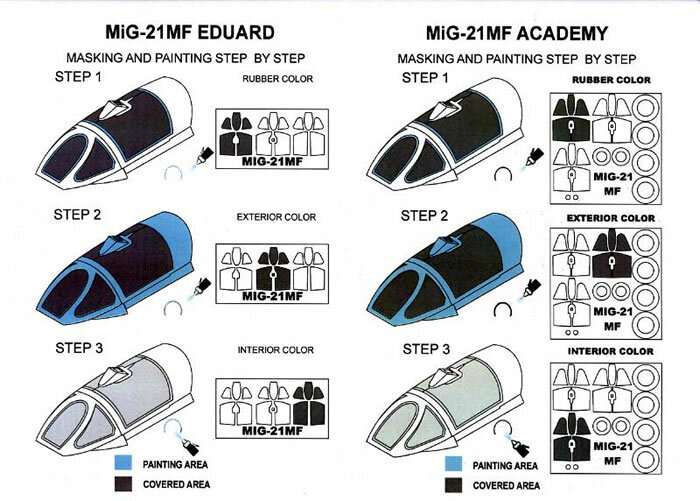 In 1/48 scale kit options range from the very new Eduard MiG-21MF to the somewhat dated Monogram Mi-24 and Esci/Italeri MiG-23MF kits. 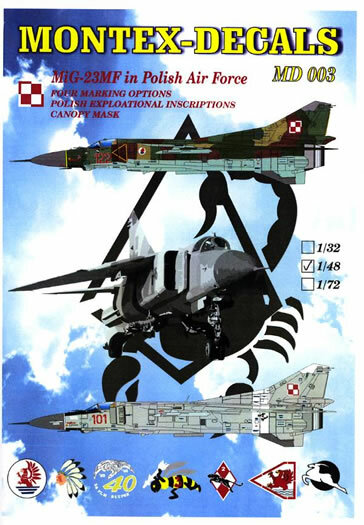 All three are freely available in hobby shops I have visited in recent weeks. 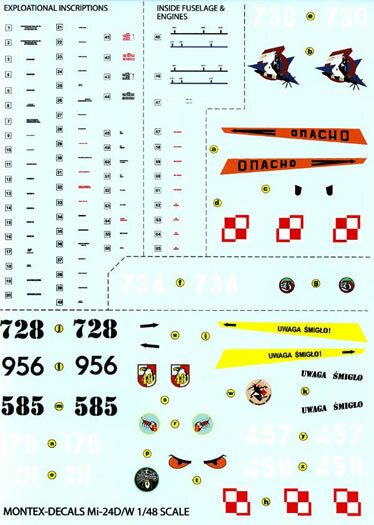 Overall Montex as produced a range of decals for modern Polish subjects which sits well with the Polish Wings range of books. 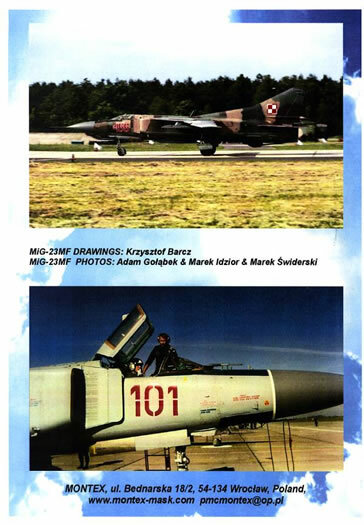 Plenty of interesting subjects are included, well supported by reference photographs and colour guides in the instructions. 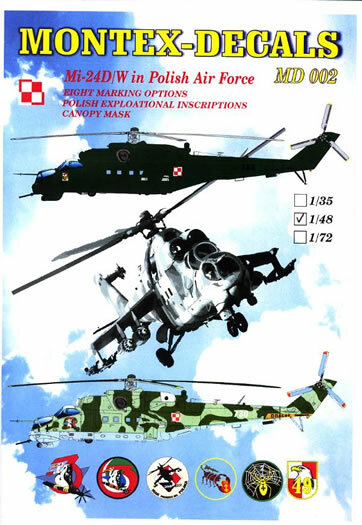 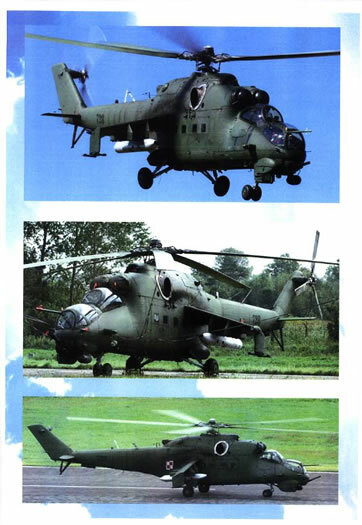 If the modern Polish Air Force is of interest then these sets (and the promised follow-ons) will be an excellent start for the modeller. 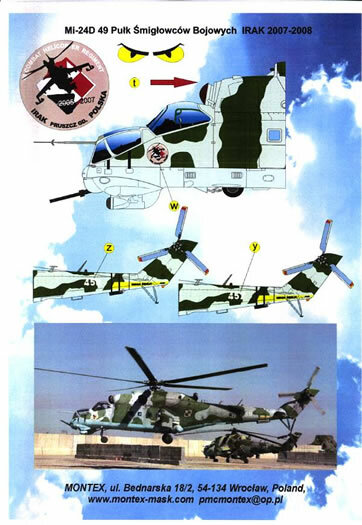 Thanks to Montex for the sample.